Ain´t no rest for the wicked, money don’t grow on trees, it actually grows from the greediness of Hyperion suits and their inhuman way of treating their employees, but you already know that…Right? EPISODIC IMPRESSIONS - Be aware some screenshots may contain spoilers, proceed to reading these or skip below to the General review. The episode had a different pace compared to the 1st. It was more methodical, putting aside most of the action offered before, and therefore put time into figuring out what will be the outcome of the plot. Many decisions carry over, but of course they only play a role on side dialogues for the most part. New characters were introduced! Some are very familiar if you played the Borderlands games, if not, then you'll find them quite charismatic. Tellale Games also adds in their original roster, but they don't develop as much as you would want them to. The comedy factor tries to stay at the same level, but probably not enough to "Zer0 Sum"'s. Although dialogues and some scenes were able to shine remarkably. 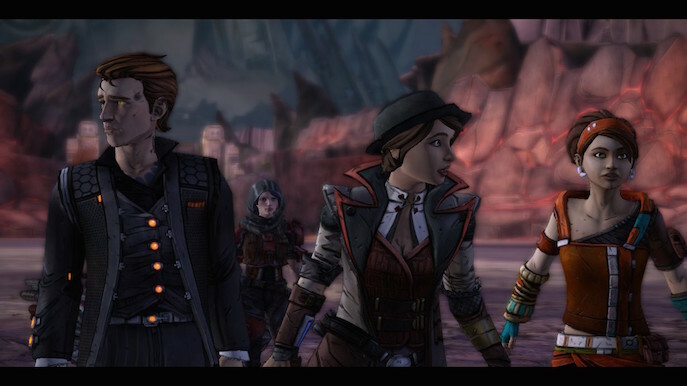 "Atlas Mugged" is a decent continuation to our new unconventional Borderlands crew. The plot evolves quite enough and does makes you want more, with some added X or Y decisions that might be fundamental to the opening and development of Episode 3. 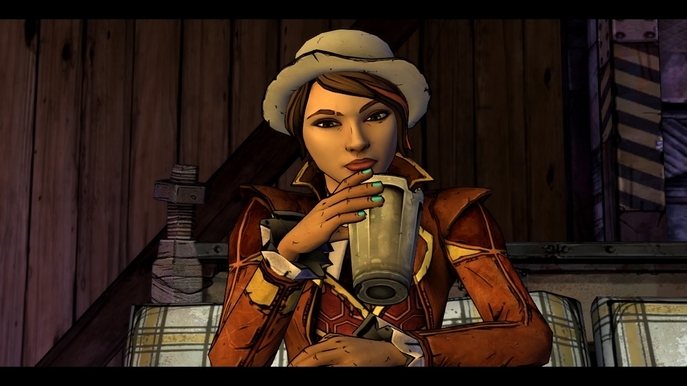 Episode 3: "Catch a Ride"
If you thought Episode 2 was a bit low, let me tell you that "Catch a Ride" will set up a new bar for one of TellTale's best episodes for one of their games. It's not a surprise that we get new characters, this time we have some classic ones if you're familiar with the franchise, as well as new characters setting up and thickening the plot. The biggest surprises however are how the story is now reaching a goal, one which all characters are after. 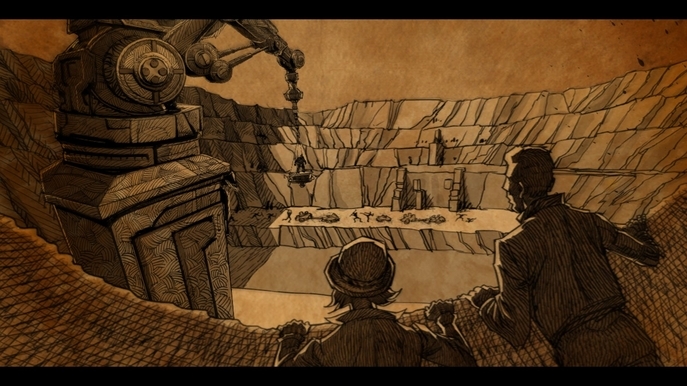 We will learn more about some character backstories, while at the same time generate even more questions about them. Relationships start to evolve, either in a good or a bad way, its up to you. The sequence of events, and timed actions during the playthrough will not let you rest, you must pay attention at all times. Most, if not all actions are hilarious and develop in fantastic & creative ways. This episode not only leaves an even stronger cliffhanger, but leaves the story open to many theories, all that can only be answered in Episode 4...Maybe. Episode 4: "Escape Plan Bravo"
The episode that will roll with your emotions, all based on the attachments you have with your supportive character friends. This is a very strong episode as it works as the season's "mid-point" where everything just doesn't seem right and you will have to fix it next episode. Episode 5: "The Vault of the Traveller"
The climax of this amazing story; the moment were everything is revealed, characters will show up, all your decisions from previous episodes will carry over to this moment. Get ready for an incredible set of action sequences, humour, and feelings. 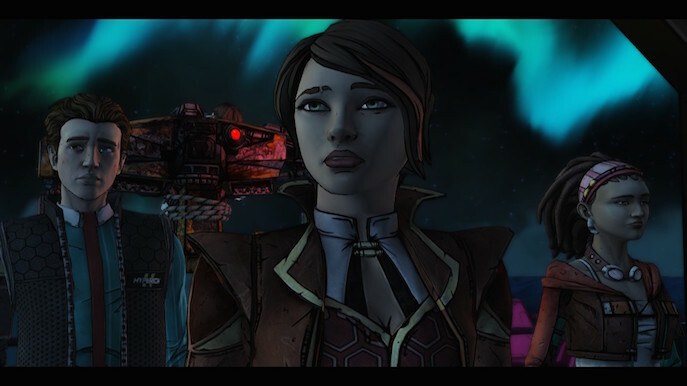 Tales from the Borderlands is the majestic combination of crazy, incredible narrative, and outstanding audiovisuals. Telltale Games has released Episode One: “Zer0 Sum” which gives players a blast of action that can be rough to top off, but when it comes to Borderlands kicking up a notch is probably a regular day activity. The Walking Dead set a standard for emotional narrative, Wolf Among Us later became the fiction we always wanted to see in action, but Tales from the Borderlands simply kicks a**. I will try avoid mentioning as much spoilers as possible, other articles just straight up tell the entire thing, like c´mon! Players deserve to enjoy this experience fresh. So let’s do this. 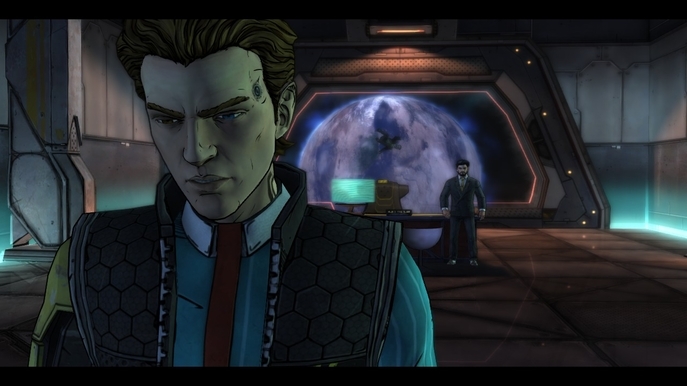 Rhys will start telling what happened, and inmediately you will notice how every detail for text options are designed for him, not to mention Rhys is kind of a cyborg, not as heavy as Wilhelm but he does have an interesting cyber eye that can be used to scan items or people. Regular Telltale experiences offer character movement and physical interaction, but with Rhys you can learn more about thing if you scan them, even discover items you can store in your inventory. On the other hand, we have Fiona (with her own style of font for dialogues) were your side objective is to explore the environment as much as possible for money, store it and then use it to bribe or to purchase interesting assets for later gameplay progression. Okay, but how well do these character act in the mist of battle? You’d be surprised; action events evolve and end in clever and hilarious ways. 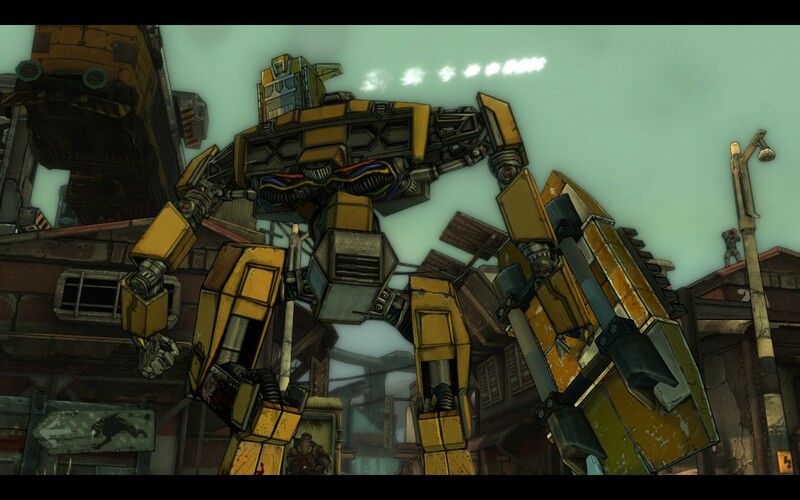 Rhys with the help of Hyperion employee Yvette can call in a Loader Bot from Helios to fight off bandits, you can choose customizations for the robot and that will result in a particular outcome for a fight. This shows how promising the later Episodes can be as to how well they can integrate whatever capabilities other characters have, instead of the regular shoot and ask questions later type like the Vault Hunters that we are. Not only this, but even if there was a lack of puzzles (which are not even necessary to begin with) the subtle ones can get solved spontaneously. With Fiona you master the techniques of lying, so pay attention to the details you are given. The game even has funny death animations so don’t be scared of “accidentally” missing a prompt. Rhys and Fiona might sound like terrible people, even if they were raised in different scenarios, but their personalities have a soft spot. Rhys knows how hard it is to climb up the business ladder and how dangerous it can be when it comes to Hyperion, while Fiona knows the way people on Pandora work but she really just cares about her family. Characters are introduced and their stories are portrayed in a very decent way which is very important for any narrative. The pacing of the story as I mentioned before is cleverly narrated and at a great speed. For a Telltale Game this was my first experience were I always had to be on my toes. 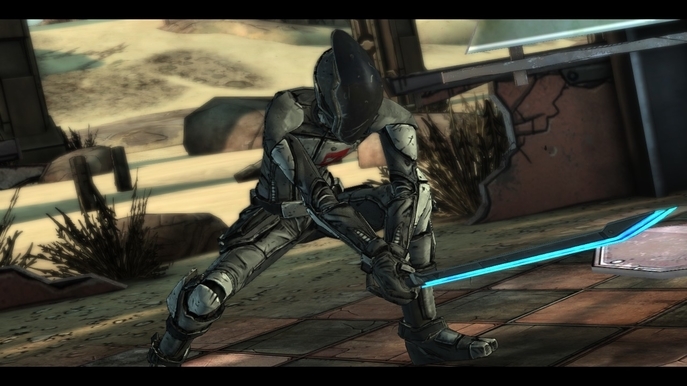 Usually on other titles you would know what places are safe and action sequences are predictable, but with Tales from the Borderlands you need to stay sharp the entire way. This puts the player in the shoes of the respective characters, learn how to be a suit, and how to be a Pandoran, your actions do have almost immediate outcomes to choose wisely what you say or perform. The way the story rhythm is used is equally gained between super funny action filled with explosions and shooting, and then throws back with ridiculing a character, which in fact helps develop character relation and personality. Also even if you play as 2 sides from the story, you will sometimes be darkened and rely only of the subjective view of 1 while the other develops when the time comes. 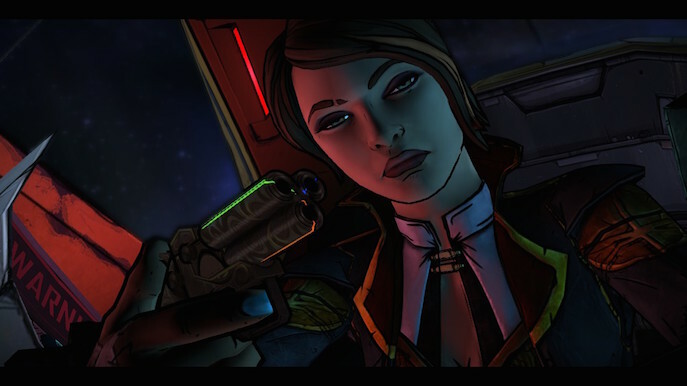 Tales from the Borderlands looks graphically appealing, of course the world set in the Borderlands franchise has a wide color palette with very interesting designs that was appropriately exploited. Animations are simple and then very promising when the necessary time comes, some clipping every now and then but it’s hardly noticeable. 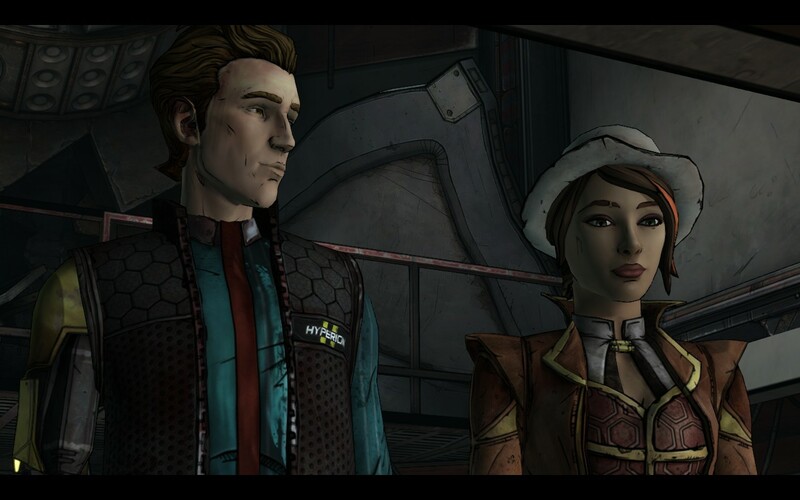 As I mentioned before, both Rhys and Fiona have differently design dialogue options which are very important when both of them are on the screen, it is a simple art proposal yet very reliable. Shading and illuminations are also great, to be honest, Tales from the Borderlands is visually ahead of the other TTG titles. 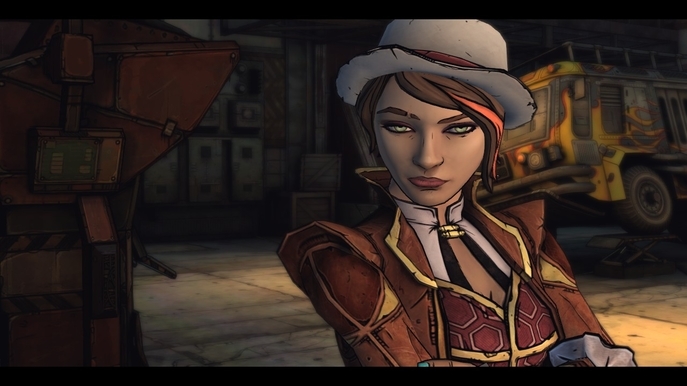 Audio is interesting, as most Foley and FX are recycled audios from the Borderlands games. Is this bad? Not necessarily. New players will find them intriguing and pretty well designed, while old players will familiarize and bond a link to the narrative of the story. These specific sounds and you might have a history after all! Music is also mostly from the Borderlands OST, but very cleverly implemented, most of the time you won’t even notice the mixing and cross fading between tracks which is basically a music track’s job (to emotionally narrate) depending on the events happening. I did feel a slight mixing issue were the music was louder than the dialogues, but I’ll give it a pass due to the “scenario” they were in. 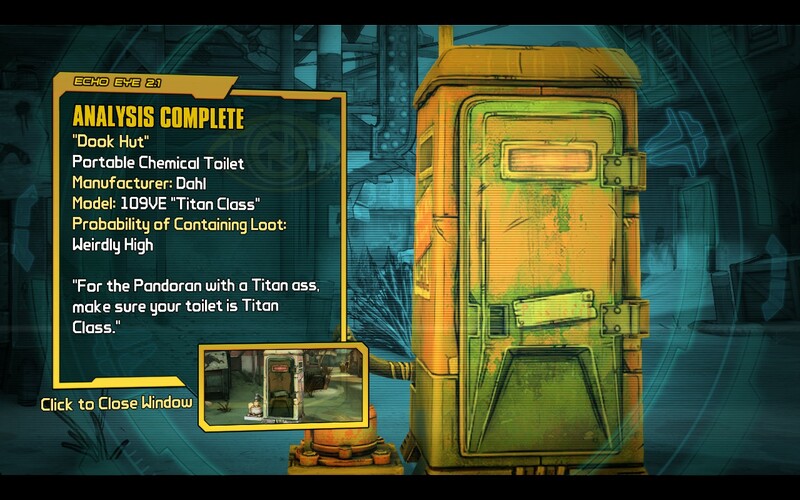 Tales from the Borderlands is an action packed game filled with humor, drama, and explosions. It is a very worthy game to pick up as it’s a candidate to be the best Telltale Games has ever developed. + Incredibly well written narrative.